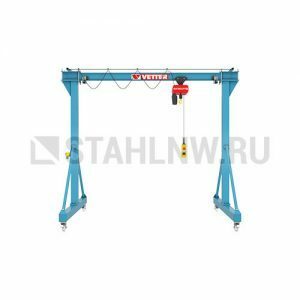 Categories: Portal and semi-portal cranes, Portal, Manual. 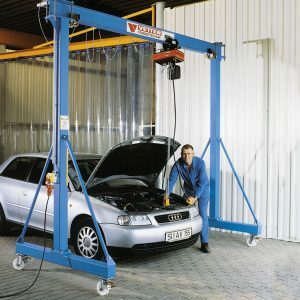 The movable gantry crane ALU1 can be operated in alternating places where quick and easy crane installation and disassembly are required. Using the ALU1 you are able to lift, transport, and move loads of 1,500 kg effortlessly. 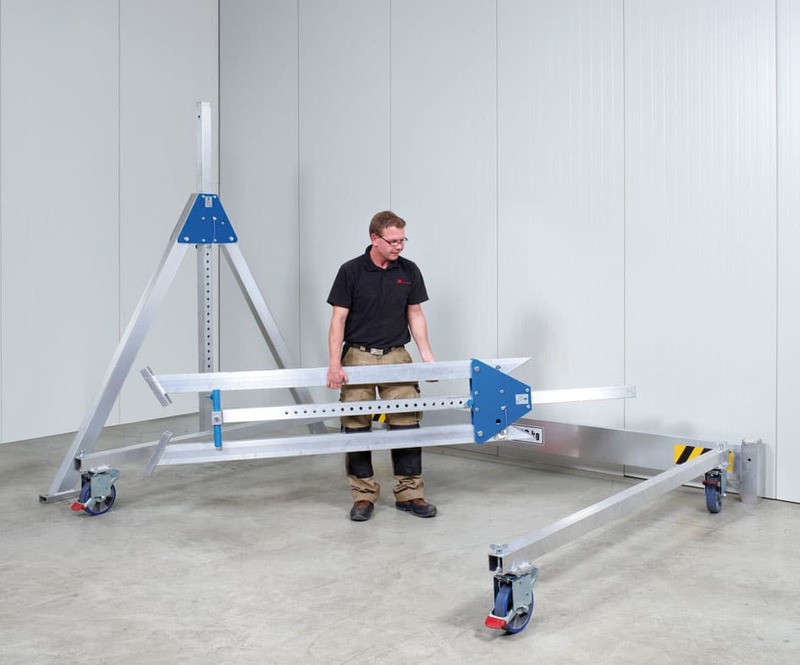 The integrated brake blocks the push trolley in any position. 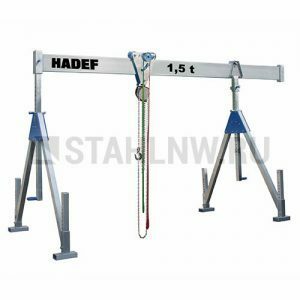 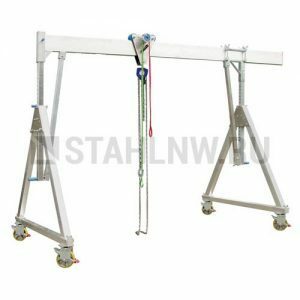 Thanks to its standard height adjustment feature, the movable aluminium gantry crane meets your requirements perfectly. 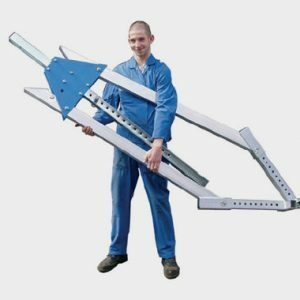 Neither drilling nor tools are not required for instatallation; all joints are in snap-on design. 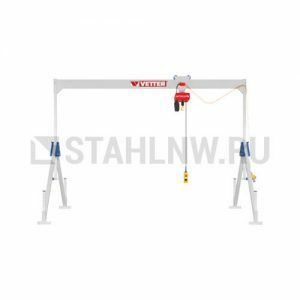 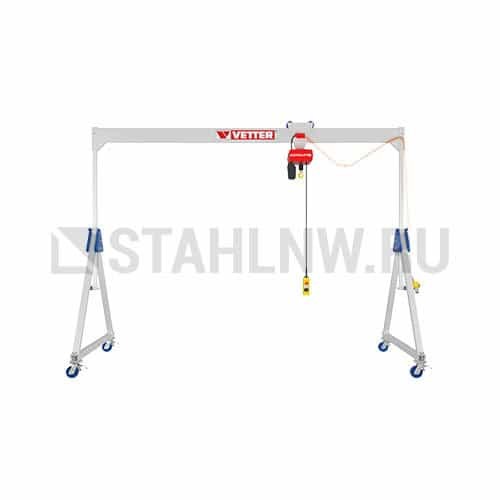 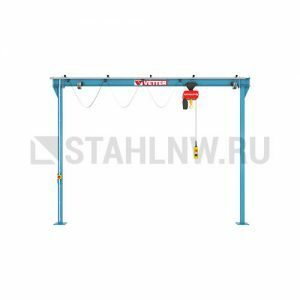 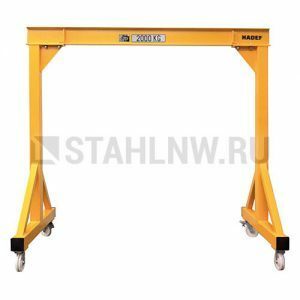 As this mobile workshop crane can be disassembled quickly and easily, it is ideally suited for assembly operations – either indoor or outdoor. 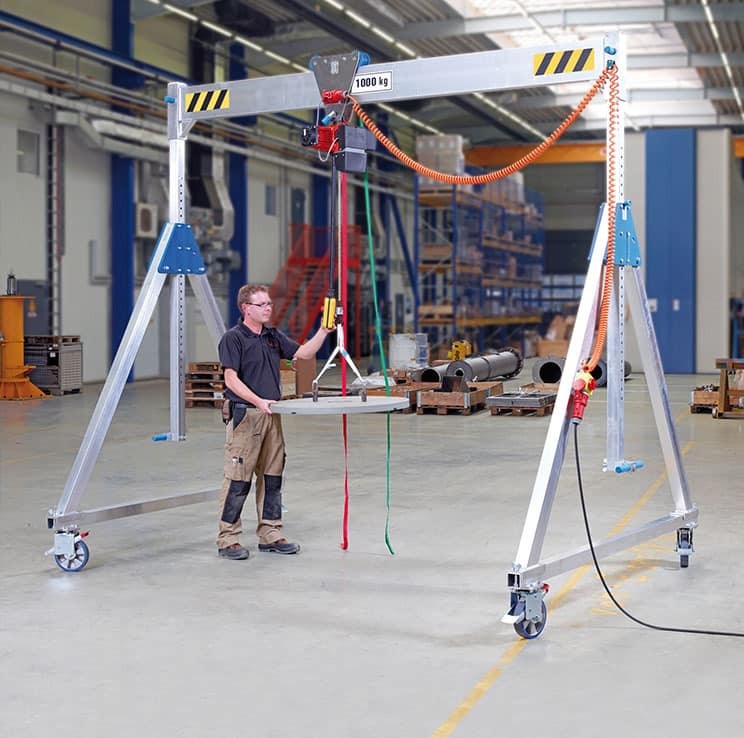 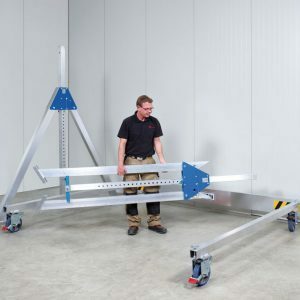 Thanks to its folding side frames and an individual component weight not exceeding 30 kg, the aluminium crane is mobile and can be moved easily by a single person. 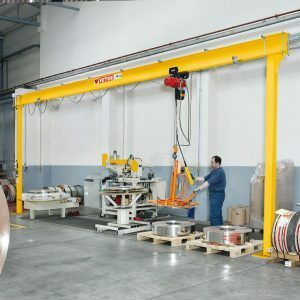 Moreover, we offer a suitable power supply by means of coiled cable, chain hoists ELECTROLIFT®, manual chain hoists as well as various other accessories.